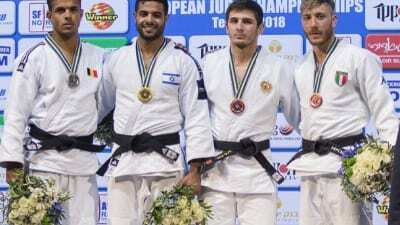 Israel’s Sagi Muki (second from left) receives the gold medal on the podium after winning in the men’s under 81-kg weight category during the European Judo Championship in Tel Aviv on April 27, 2018. 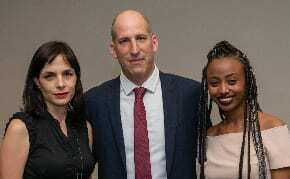 Photo by Roy Alima/Flash90. The federation had cancelled competitions in Tunisia and Abu Dhabi after those locations had discriminated against Israeli judokas.